Should I Get Dog Nail Trimmers with a Quick Sensor or with a Guard? You probably know that it is really important to trim your dog’s nails, and especially if you are a dog owner. There are times when the dog’s nails become too long, and that is exactly when all kinds of problems can arise, and some of them include infections. In order to prevent that, you need to start clipping the dog’s nails with the best dog nail trimmers, and some people do it by taking their dog to a groomer. But, the problem with this lays in the fact that these groomers tend to be really expensive, and especially if you are taking your dog there just to get their nails trimmed. If that’s the case, why not do it yourself? This may sound and look a bit intimidating, but you really don’t have anything to worry about, because the entire process is rather simple. In order to do it right, you need the right, heavy duty dog nail trimmers. The first thing you need to know about grooming your dog is that there are two main types of dog nail trimmer. The first one is the guillotine style clipper, which is easier for clipping the dogs’ nails because of the fact that they are designed in such a way to go around the nail. You just place the nail in the clippers and then clamp down on the handle, and you’ve successfully clipped a nail! Then, there is also the scissor style of nail trimmers, which, as the name suggests, looks like a pair of scissors, and are used the same way as well. You need to note that, when you use this nail clipper, you really ought to make several smaller cuts, because that way, you’ll be avoiding hitting the quick. If this is your first time doing this and you’ve never clipped your dog’s nails, this may all sound slightly intimidating. However, you need to know that when the dogs’ nails get too long, there is a good chance that they might get infected by breaking off. And in order to see when it is that your dog’s nails ought to be cut, you just take a look at them, and this should give you a pretty clear idea of it. In order to make this whole thing run smoother, you will first have to make sure that you have placed your dog in a comfortable position. Then, you will need to take the dog’s paw and use your fingers to spread the toes. Use one hand to spread the toes, and the other one to trim. Now that you’ve got the paw in your hand, make sure you firmly grip the clippers in your other hand and try to make sure that the blade of the trimmers is facing you. This will allow you not to cut the quick. 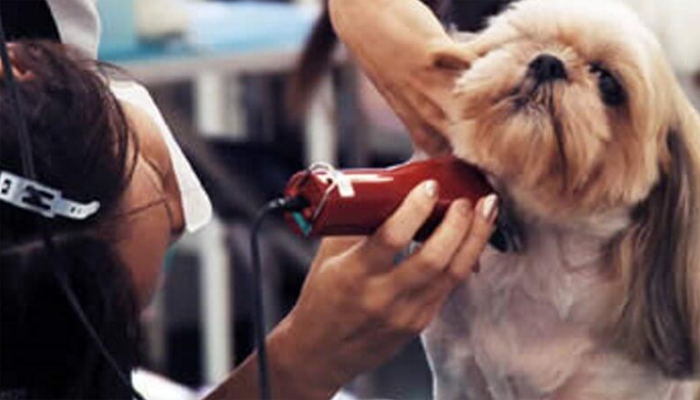 It is always smart to teach your dog that the trimmers are something normal and that he shouldn’t be afraid of them. And this should be done even before you start using the clippers. Try doing this by just clicking the clippers near the dog’s paws, and then give the dog a treat if he’s been good. This will teach the dog that there is nothing to be scared about, that he’s safe, and that he’ll be rewarded afterward. Also, keep in mind that you do not have to trim all the nails at once, and especially if your dog is rather nervous and you are struggling to get it done. Just clip a few nails at a time, and keep doing it until you’ve cut all of them. Some dog owners that have been doing this for the very first time wonder what would happen if they were to cut the dog’s nail too short. Well, if such a situation were to happen, then there probably would be some blood. This bleeding is being caused by the cutting into the quick, and in order to stop it, just use some styptic powder. If you are not in possession of any styptic powder, you shouldn’t worry, because the bleeding should stop really quickly. It might bleed for a while, but there is nothing to worry about. If you use them correctly, the nail trimmers may be great for trimming your dog’s nails. Other option you might consider is getting a nail grinder, which just grinds down your dog’s nails, and does not cut it in any way. The grinder lowers the risk of cutting or hurting the dog while you trim or smooth the nails. The tips of nails are much smoother using a grinder, which reduces the scratching. There are various versions or grinders: rechargeable, battery powered, or electric ones. 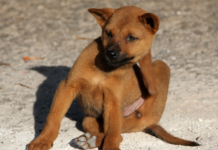 Trimmers know to pinch a nail which causes pain in dogs. With grinders, this thing never occurs. Grinders are great for all the dogs out there with thicker nails that can’t fit inside a nail trimmer. 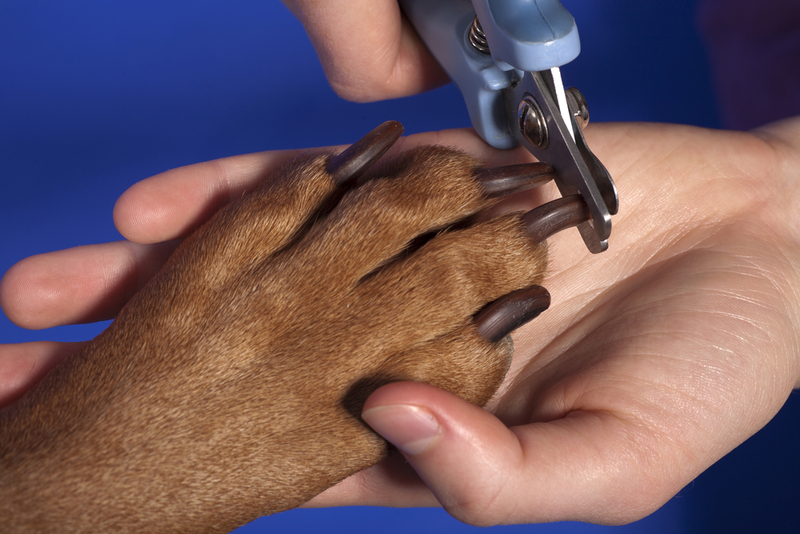 No risk of tears or cracks in the dog’s nails, which can happen using a nail trimmer. It takes a lot longer to do the job with a nail grinder. The humming of the grinder might annoy some dogs. They need to be replaced from time to time, while the trimmers last for years. Basically, you are the one that needs to decide which one you like best – trimmers or grinders. However, when it comes to dog nail maintenance, most people agree that the grinder is easier to use. If you are one of those people and are interested in these products, then you might look at our list that should tell you which is the best dog nail grinder out there; both for you and for your dog. There are some dog owners out there who are only interested in purchasing a trimmer with a sensor, but they really ought to know that this sensor isn’t really the most reliable thing out there. In theory, they do seem like a great idea, but in reality, they just aren’t worth all that money. Also, some dog owners only buy trimmers with a guard, which is another thing that sounds amazing in theory, but the fact remains that the manufacturer of these kinds of trimmers can never really know where the quick is located on the nail of your dog. Therefore, it is always better to stick to either scissor or the guillotine type of scissors. If you are an owner of a larger dog, then it is perhaps the best to look for clippers meant for such dogs, and the best ones of those have to be the Millers Forge Dog Nail Clippers. These are the trimmers that are really heavy duty and have in fact been designed to only be used on the dogs that weigh more than 40 lbs. They are made of German stainless steel, and what’s best about this is the fact that they always stay sharp and strong, meaning that you don’t have to worry about them. Because of this, you will always get a clear, clean and a quick cut, which will make both you and your dog really happy. If you are an owner of a smaller dog, or if you still have a puppy, then it would be best to get a hold of the Resco Original Deluxe Pet Nail Trimmer, which are the best trimmers for such dogs. This company is known for inventing the guillotine type nail clippers for dogs way back in the 1930s. This is a trimmer that allows for an amazing grip, and on top of that, it also offers a premium powder coating, which is great at providing comfort and style. 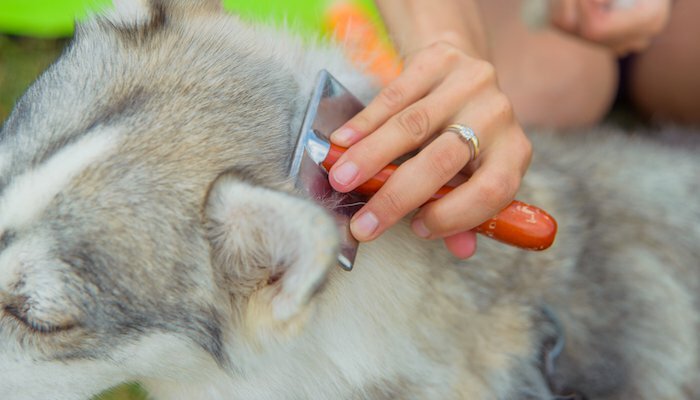 Numerous veterinarians, vet techs, and groomers as well recommend these trimmer to their clients that have smaller dogs, puppies, or even cats. What’s amazing about them is the fact that these clippers come with a lifetime warranty, meaning that they vouch for their product. The quality of this product is amazing, meaning that these clippers were built to last a long time. The right nail clippers for Chihuahua dogs would most definitely be a set of “scissor trimmers”, as the nails are cut by two blades, as opposed to one blade. Guillotine trimmers (one blade) can damage small Chihuahua nails. 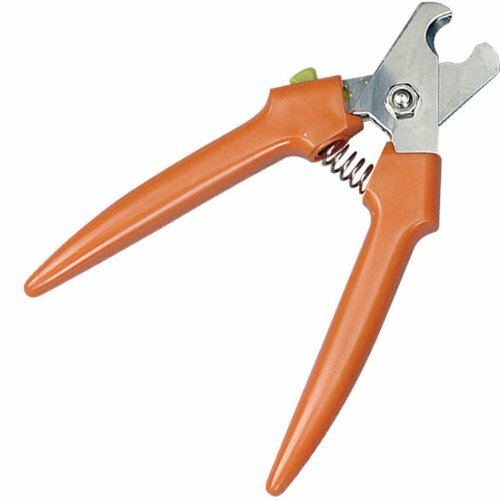 It is really important to get a hold of a quality dog nail trimmers if you want to get the nail trimming job done successfully, quickly and well. Some people worry around spending too much money on a quality pair of clippers, but those trimmers would make the job easier, and would pay themselves out in the long run, and is a better solution both for you and your dog. Here is a list of 5 of the best dog nail trimmers you can find on the market today; clippers that offer everything you need in order to be able to groom your pet. These are pairs of dog clippers that make the job a lot easier by the fact that they can be bought for a really low price. They are made of stainless steel and are really durable. These are dog clippers that will never rust, that will never scratch your dog, that will never bend, and that have blades that always remain sharp, even after you’ve been clipping the toughest of the dogs’ nails. Because of this, clipping the dogs’ nails is a lot quicker with these clippers, and you don’t really have to try that hard. They will leave a nice, clean cut without any ragged edges. You can find these clippers in two sizes – small and large, meaning that you have different types for both the larger dogs and the smaller ones and pups as well. Epica is a company that offers a safety lock for their products, meaning that you can lock the clippers whenever you’re not using them. This prevents any potential injuries, to both you and your dog. 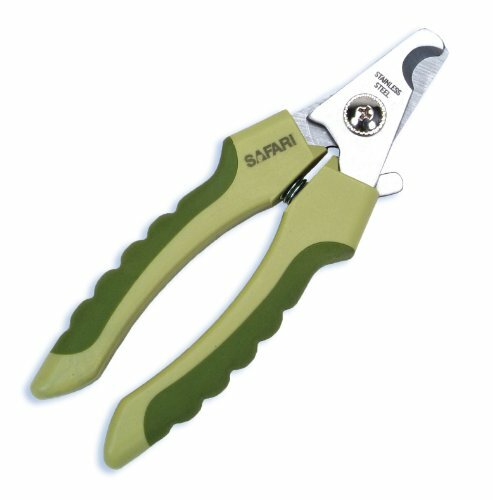 Also, the clippers from this company have handles with a secure rubber grip, making them extremely easy to work with. Why We Like It – These nail clippers make trimming your dog’s nails easy. They do not cost much and are made of stainless steel, making them completely durable. They do not rust, bend, scratch, and the blades remain sharpen all the time. We’ve already mentioned these clippers before because they seem to be the best choice for all the large dog owners out there. These are clippers that come to us from Italy and are really heavy duty. They are a bit more expensive than the Epica’s clippers, but with these ones, you can rest assured that you are getting the best possible product and that using them on your pet is really simple. A vast number of veterinarians, dog owners, as well as the professional pet groomers have said that the quality of this product is absolutely amazing. It also has a rather unique style of clipping your dog’s nails, which makes the job a lot quicker and simpler. This is really important to all the large dog owners who have dogs that don’t really sitting in one place for a long time. They are made of stainless steel and are built to last for a long time. However, they are only good if you have a larger dog; they’re not so great when it comes to clipping the smaller dog’s nails. Why We Like It – These are the dog nail trimmers that are the most popular ones when it comes to larger dogs. These heavy duty clippers are made in Italy, and are a bit more expensive than the previous ones, but they do get the job done. These are the best dog nail clippers for larger dogs out there, according to both experts and the large dog owners. When it comes to nail trimmers and clippers, Recso is one of the top brands. It is one of the oldest companies out there, established in 1937, and since then, it has been in the forefront of this industry because of their high performance and durable products. The price of these clippers is about the same as the price of the previously mentioned ones, but these are considered great for dogs of all sizes, unlike the previous clippers. So, based on your needs, you can choose between small and large trimmers. These are the clippers that are being used by all the important professionals in this field, such as the veterinarians and dog nail groomers because they offer a rather smooth cut every time you clip a nail. These clippers do not offer any ragged or split nails because they possess the cutting edge blade system, and the amazing thing here is that, even if the blade somehow manages to get dull, you get a replacement blade kit. These Resco’s trimmers are made of steel and are the guillotine type clippers. With them, you get a comfortable grip, as well as a conditional lifetime warranty, indicating the quality of the product. Why We Like It – This is one of the best brands of dog nail trimmers out there, and a good reason for that is the fact that this company’s been running since 1937! These clippers are durable and high performing, and it should also be noted that they’re a guillotine type of clippers made of stainless steel. This is a nail clipper that has been made of the stainless steel of the best quality, which is the reason why this model offers us a blade that is always kept sharp and that can never dull out. There are also some other positive features of this nail clipper, and they include a safety stop, which is a great thing for preventing injuries from happening, as well as the rubber, coated handles, which allow for a lot easier gripping and better control of the clipper. So, if you are a dog owner looking for a pair of medium to small sized dog nail clippers that are affordable and that are great at what they do, then this is the perfect product for you. 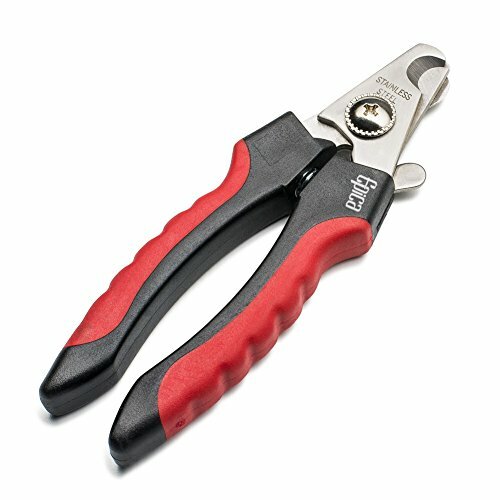 This particular model of nail clippers can be found in various sizes, meaning that can get the proper size no matter what kind of a dog you have, or you can just buy several of them at once. Why We Like It – These clippers are made from the best stainless steel out there, which allows this product to remain sharp and last for a very long time. Other important features of this product include a safety stop which prevents injuries and the rubber coats on the handles, which make gripping the clippers a lot easier. And the last set of nail clippers on our list of the best ones are the GoPets Nail Clippers, which manage to offer a clean cut, no matter how many times they were used before. They are being made of a high quality thick stainless steel, which is made to last for many years to come and to stay sharp as well. 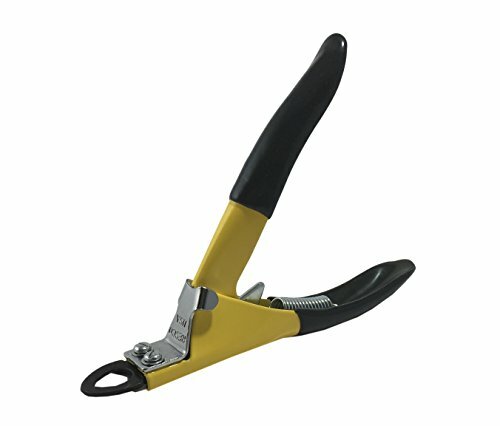 These clippers offer a sensor safety guard as well, which can be used to prevent the person from doing the nail clipping to overcut the nails. What’s great about these clippers is the fact that they have large handles, which offer amazing leverage in order to make the cuts that are really quick and can be made effortlessly. You can only find overwhelmingly positive reviews of this product, which basically means that the dog owners and the groomers are happy with them. Purchasing them is not a risk in any way, because if you do not like the product or are unhappy with it, you can get a full refund! 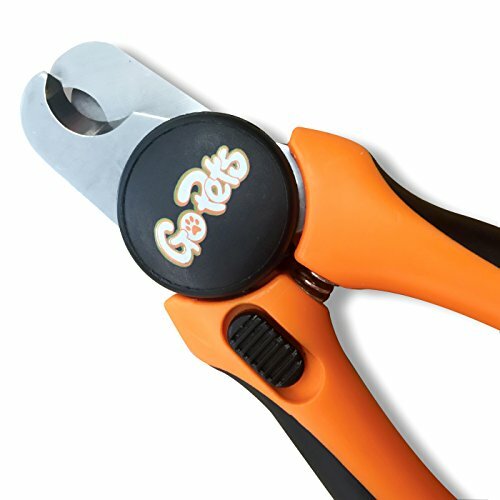 Why We Like It – GoPets Nail Clippers are trimmers that offer a clean cut every time they’re used, and this is due to the fact that they’re made of quality thick stainless steel made to last for a long time. This also means that the blades stay sharp for a long time as well. Also, these clippers have a sensor safety guard, which makes overcutting the nail pretty much impossible. 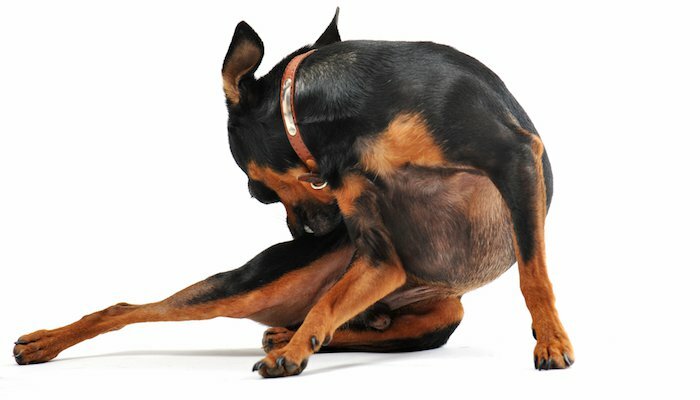 Nail trimming is something you need to do regularly in order to make sure that your dog is always well groomed. It is important to maintain trimmed nails for your dog because that would make sure that your dog remains happy and healthy for a long time. Also, it is really important to teach your dog from a small age that their nails are something that needs to be trimmed, and this will allow you and your dog to establish a bond, which is going to make this whole experience even more enjoyable, both for you and your pet. If you are an older dog owner and have just started thinking about having his nails trimmed, it’s not that late to create the kind of bond we’ve told you about. Try starting slowly, in order to make this whole process a lot more enjoyable for the dog, and more importantly, a lot less scary. What you need to do first is to get yourself a pair of high-quality dog nail trimmers, and then get your dog acquainted with them. After that, you can start cutting the dog’s nails; and honestly, this is something that can be a bit intimidating for the dog at first, but once it becomes a habit, the dog is going to enjoy it, which will make this a lot easier for you. Next articleHow To Treat Dogs With Skin Allergies? I got the Epica Professional Pet Nail Clippers for my small dogs at home. Thank you!